Cowdrey CC provides cricket for all ages and talents, and is proud to have attained both ECB Clubmark and Focus Club status. Our youngest colts join at under 8 level and play with a soft ball, moving to hard ball cricket with experience. Practice takes place midweek, on different evenings depending on age group. All teams from under 11 and above play competitive hard ball cricket. We are currently looking for new players of all ages and abilities! Whether you’re considering joining, looking for a new club or trying out the game for the first time, please feel very welcome to come along and see what we’re all about. You’re welcome to try out a practice session for free, so check the table below for dates & times. Cowdrey CC has a dedicated team of coaches, providing competitive cricket in a friendly atmosphere. The club has 5 qualified ECB Coaches, led by Gary Marshall, our dedicated Director of Cricket. All coaches are DBS checked and have attended First Aid and Child Protection Courses. At our Swanmead ground in Tonbridge, we have the use of two static nets as well as a mobile batting cage. Technique is improved with bowling machine sessions, and fielding drills are practiced regularly. 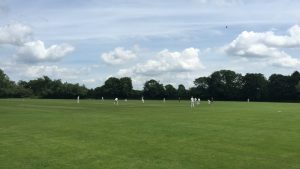 Cowdrey CC fields 3 age groups that play in the Border League (u/11,u/13,u/15). We have been very successful in bringing young players through to the senior teams, which is reflected in the makeup of our current squads. Please download, fill out and return a Junior Membership Form to Gary Marshall’s address (on form), or email Gary a scanned copy. Aged 8-13? Stuck for something to do this summer? Check out our page on summer holiday courses in 2017!